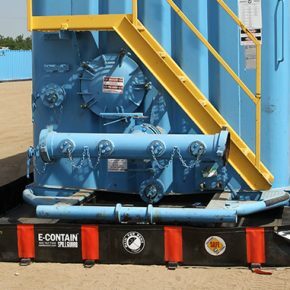 Spillguards provide a safe and easy solution for secondary containment to help prevent costly incidents. 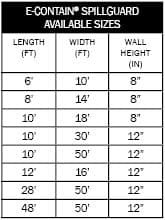 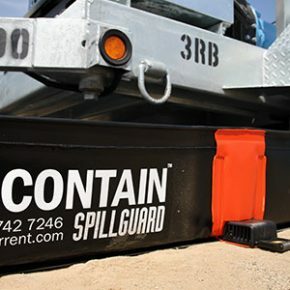 Available in sizes from 6’ to 50’ with custom sizes available, the portable, lightweight, polyurethane Spillguards are puncture resistant and come with Rigid-Lock supports. 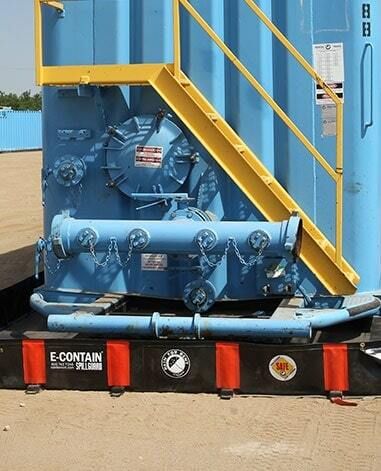 The WORKSAFE®® E-CONTAIN® Spillguard features safety improvements, space savings, ease and reduced clean-up costs. 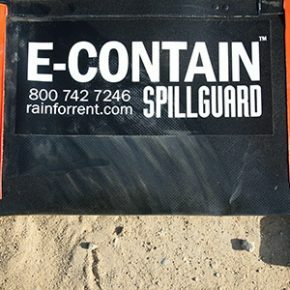 The E-CONTAIN® Spillguard is also lighter and easier to maintain, deploy and repair.